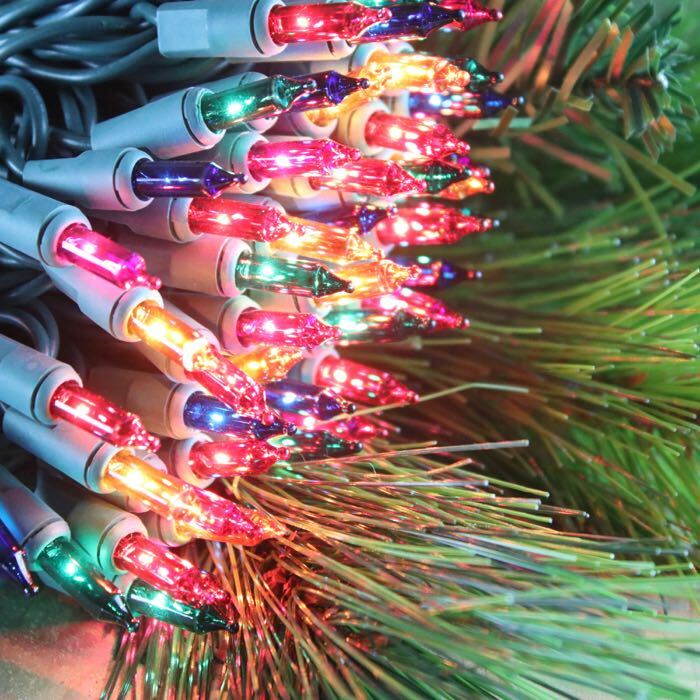 Next to white Christmas lights, multi colored light strings are our most popular color for indoor and outdoor Christmas displays. A traditional mix of red, green, blue, amber and pink, these lights just say, "Merry Christmas" and are an easy way to add a homey, festive touch to your tree. 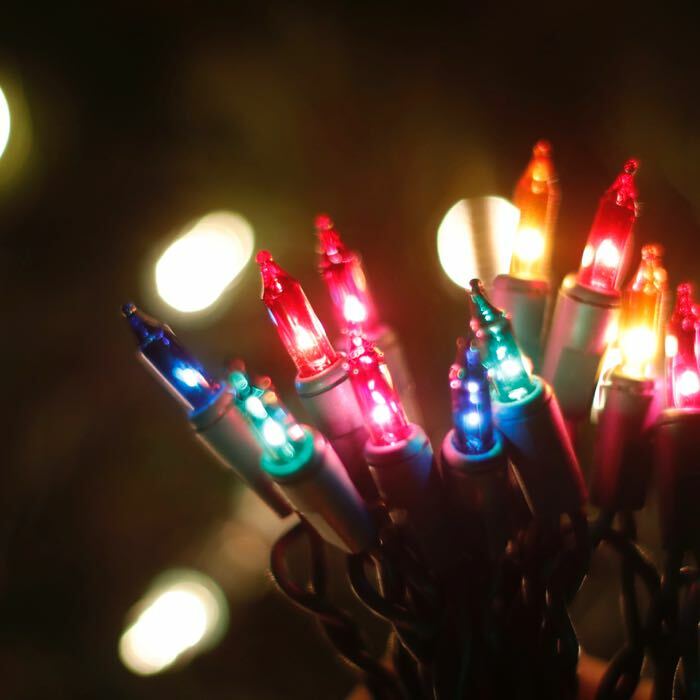 We love to use these lights all year - especially for parties. 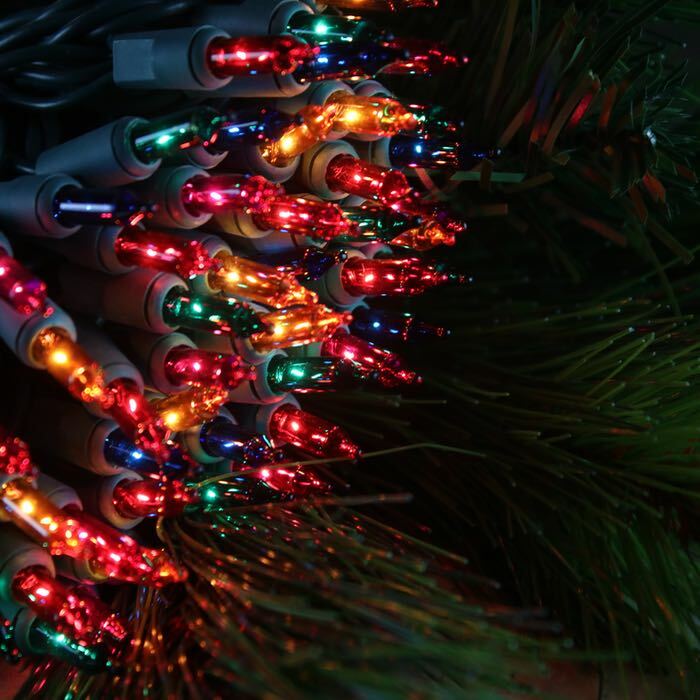 Constructed with 100 miniature light bulbs to the string with 2.5-inch spacing, this light set is over approximately 21 feet long and is manufactured with 2.5 inches of wire between the end plugs and first lights at the beginning and end of the string.